Dubai-based Cazza Technologies, a leader in high-tech 3D printed homes and buildings, has confirmed it will create the world’s first 3D printed skyscraper. CEO of Cazza, Chris Kelsey, told ConstructionWeeklyOnline: “When we first thought of implementing 3D printing technologies, we were mostly thinking of houses and low-rise buildings. 3D printing is a technology that can ‘print’ three-dimensional objects. Construction companies are starting to embrace 3D printing technology in the development of houses and office buildings. The firm will use a new construction technique called ‘crane printing’. The crane printing process includes all major structural components for high rise buildings, including reinforcement with steel rebar. Specific parts of the building will be printed by cranes, while the rest of construction will be carried out using existing methods. Fernando De Los Rios, chief operating officer at Cazza, said: “The crane printing system can be easily adopted with existing cranes which means we don’t have to build cranes from scratch. The height of the skycraper and details of when the project will begin have not been revealed yet. The project highlights the technology’s potential. 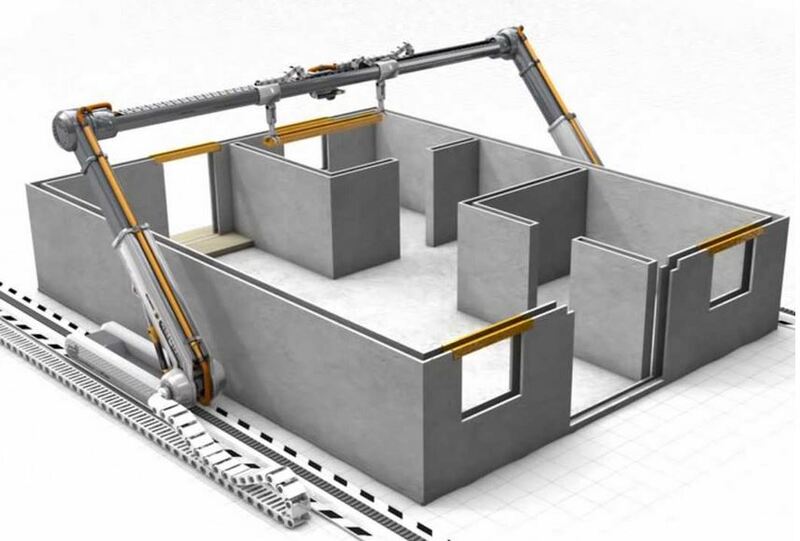 Although there are many firms using 3D printing in housing and construction, its potential for speed and cost efficiency could help see the technology being adopted by more construction companies and eventually become a mainstream component of building homes, offices and high rises. “It is all about economies of scale where the initial high technology costs will reduce as we enter the mass-production phase,” added Kelsey.